Vertigo and dizziness can be extremely disabling, and the inability to control the spinning or your balance may be very scary for you or a loved one when you do not understand what is going on. Our experts at One Accord Physical Therapy have post-graduate certifications as Vestibular Rehabilitation Specialists and have extensive experience determining the underlying cause of your vertigo or dizziness as well as effectively treating it. The great thing is that 90% of vertigo is benign paroxysmal positional vertigo (BPPV) and is 100% curable in 1-3 visits when treated by one of our experts. Unfortunately, 90% of patients with BPPV are treated by their primary or urgent care doctor with Antivert (Meclizine) medication and Valium (Diazepam) and sent home to recover. These drugs actually SLOW the recovery of BPPV and make our job, and your recovery, harder. 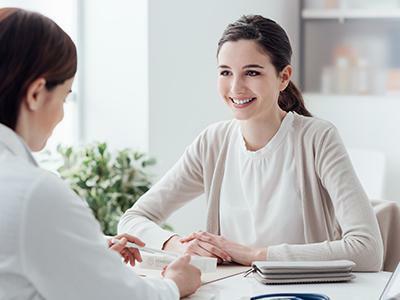 Our experts can get you better in 1-3 treatments without the use of drugs. Call the office, book an appointment online, or sign-up for a free phone consultation with one of our experts in our Phoenix, Scottsdale, Casa Grande, Mesa, or Gilbert, Arizona, offices. Is There a Difference Between Vertigo and Dizziness? Dizziness generically describes a range of symptoms. When you’re dizzy, you may feel lightheaded or like you’re floating or losing your balance. This is often described as a being on the deck of a boat. Vertigo is a specific type of dizziness that makes you feel like you or your surroundings are spinning around. It is more a whirling and spinning sensation. You may become dizzy when you’re tired, stressed, or dehydrated. Dizziness is also caused by neck strain or injury, headaches, orthostatic hypotension, low blood sugar, and many other health conditions. Vertigo may occur due to an ear infection, migraine headaches, or Meniere’s disease (an inner ear disorder). You may also develop vertigo after a head trauma or a whiplash injury. However, the most common type of vertigo, benign paroxysmal positional vertigo (BPPV), is caused by an inner ear problem. BPPV develops when calcium crystals normally found in your ear become detached. As they float around in the fluid-filled spaces of your inner ear, you become hypersensitive to head movement, which causes vertigo. The great thing is that it is 100% curable within 1-3 visits! With so many possible causes of vertigo and dizziness, it’s important to know that our specialists at One Accord Physical Therapy always identify and target the underlying problem. We never randomly treat a symptom but instead treat the cause so you can get back to an active life that’s free of vertigo and dizziness. What Other Symptoms Might I Develop Due to Vertigo? In many patients, vertigo also causes unusual rhythmic eye movements called nystagmus. Our experts at One Accord Physical Therapy are trained to monitor these movements so we can match your treatment with your specific condition. No guessing, we give you exactly what you need to recover faster. 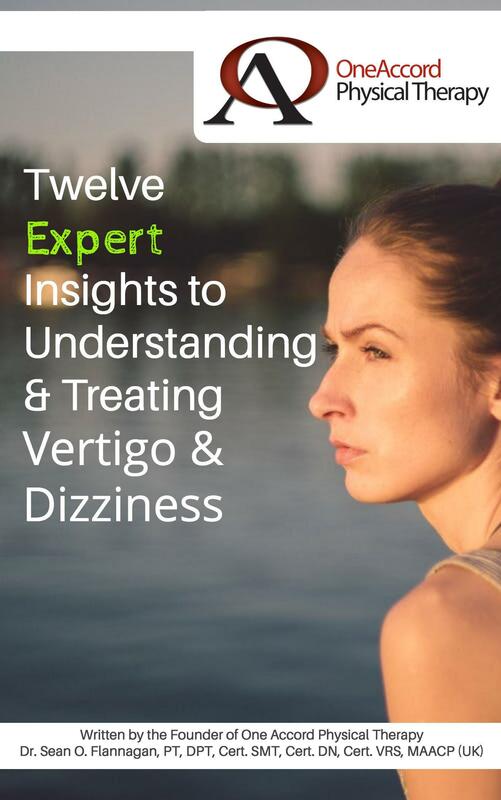 What Should I Expect From Treatment for Vertigo or Dizziness? Our specialists at One Accord Physical Therapy are certified as Vestibular Rehabilitation Specialists and will always strategically match your condition to a specific treatment so you will recover faster, without the need for surgery or drugs. If you have BPPV, the primary treatment is a set of physical maneuvers designed to naturally move the crystals back where they supposed to be within the inner ear, with an immediate reduction in your whirling and spinning symptoms. A word of caution: self-treatment of BPPV can be successful, but it can also make you worse if your specific condition is not the most common of the three types of BPPV. We know how to laser focus our treatment and 90% of the time people are better in only one visit! When it comes to treatment for dizziness and vertigo, you’ll feel better faster and get back to your normal activities sooner with the hands-on therapies from our experts at One Accord Physical Therapy. To get relief from dizziness, use online booking or call the office to schedule a free phone consultation or an appointment.